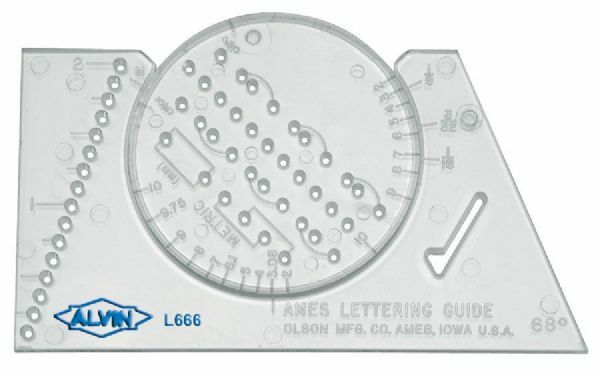 A uniquely designed instrument combining a rotating disk with an indexed rim for adjusting letter height or establishing cross-hatch marks. * English and metric line spacing. * Size: 3-7/8"l x 2-3/8"h.
3.78" x 3" x 2.38"